Sakurai fears Uprising's novelty would "grow thin" in a sequel. Though some might gripe over the controls, Nintendo's recent Kid Icarus: Uprising for the 3DS has been a success, topping sales charts and achieving positive critical response. When a game does both of these (or at the very least the former), a sequel is generally inevitable. Of all publishers, Nintendo has always been on the slower side of the spectrum when it comes to churning out its next installments, but it was still surprising when Uprising creator Masahiro Sakurai squashed our hope for another adventure as Pit any time soon in an interview with IGN. When asked if Project Sora had plans to produce a sequel, Sakurai responded with a decisive "no." Citing his fear that "the novelty ... would likely grow thin in the next game," Sakurai said that it would be a long time before anyone at Nintendo picked up the franchise's reins and that he wasn't likely to be the one to do so. 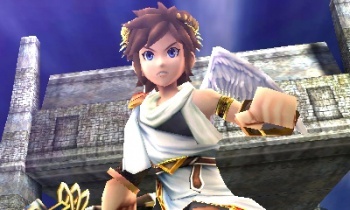 Having waited 20 years for Kid Icarus: Uprising, Pit's fans are used to him taking a while to show up. Hopefully we won't have to wait quite that long to see Pit again, though Sakurai suggested that we may have to wait "25 years" for the next Kid Icarus in the interview. Let's look on the bright side, though: with Kid Icarus off his plate, now Sakurai is free to focus on the next Super Smash Bros.